Arthritis is a condition in which body joints become inflamed that cause pain and stiffness. In this conditions movement of joints become difficult and painful. In the start the condition is mild but if not treated properly the condition becomes worse with the passage of time. In severe or worst conditions patient is not able to do her daily activities and pain becomes severe and chronic. In some cases of Arthritis, other organs like lungs, eyes, heart, skin and kidneys may also be affected. Common types of Arthritis are Osteoarthritis and Rheumatoid arthritis. What are Symptoms of Arthritis and How to Diagnose? 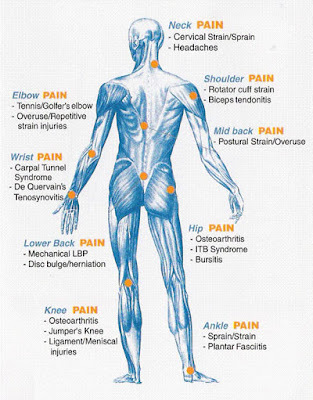 If you are feeling pain in your body joints and this pain persists then it may be Arthritis pain. You must contact your physician for proper checkup. Sometimes, the pain goes away and is not because of Arthritis. But if the pain is due to Arthritis, then it will normally stay there and increase day by day. Usually Arthritis can be diagnosed by physical examination of joints. Common symptoms are swelling in joints and difficulty in moving joints. Your physician may also ask you to do blood tests or X-rays to confirm the condition. How Arthritis Pain Can Be Treated? Exercises can really help you to reduce the Arthritis pain. Doing proper exercises will build and strengthen the muscles around joints. Exercises can also improve range of motion of joints. But doing wrong exercises can damage your joints that can result in increased joints pain. You must consult your physician before starting any exercise for controlling arthritis pain. In Allopathy, medicines are also given to patients. The main purpose of these medicines is to reduce the pain. Medicines may be topical analgesics or given orally. Sometimes surgery is done to decrease the arthritis pain and to restore the function and mobility of body joints. But this is a painful and expensive method that may or may not be successful. Please note that in Allopathy there is no treatment or complete cure for Arthritis pain. Exercises and medicines are given just to control the condition. This condition cannot be reversed in normal treatment methods. However, in homeopathy, the arthritis pain can be completely cured and reversed. Homeopathic medicines work in different ways to cure this condition. First of all they strengthen the muscles around the painful joints. Secondly the wear and tear of joints is stopped. This controls the condition and pain is not increased in coming days. The most important effect of homeopathic medicines is that swelling and stiffness of joints is cured. When medicines are taken regularly for some months, the condition can be almost fully cured. Please note that exact time frame of cure may be different depending upon the condition and severity of problem. Please don’t any of these medicines on your own to cure Arthritis pain. These medicines are only mentioned for reference. Only an experienced homeopathic doctor can suggest your right medicine depending upon your condition and its severity. What is Osteoarthritis and How It Can Be Treated in Homeopathy? Thank you for your comment and contacting us. Dr. Sabeel is practicing in Rawalpindi, Pakistan. I understand that you live in Karachi. But this is not an issue. You need to talk to Dr. Sabeel over phone and discuss your issue in detail. Your medicines will be shipped to your home address after payment and treatment will be continued till you are completely cured. There are many patients who are already taking medicines by shipping because they are living far away from our clinic. Please give me your cell number so that I can call you and arrange a meeting to Dr. Sabeel over phone. Homeopathy medicines function differently. There are cases of complete cure for arthritis. Though it is slow and takes more time. I am patient of Arthritis Pain in fingers kindly advise medicines I am also patient of suger & High Blood pressure, kindly advise medicines without side effect. My age 60 years. My Father is suffering from joint pain please refer us some medicine over the phone. Your reply will be highly appericiated. this is M.N.Akhter from lahore. Dr. Sab I am an RT Arthries pateint since more then 25 years, normally i am fit but now thease days im suffring from my left knee joint which became d shaped means got bend to inerside and all the limping pressure comes on my right leg/knee and right side hip joint pain. Finally seen your online page and cure of this desease.